This week on the horror anthology Ghost Story/Circle of Fear, our host Winston Essex (Sebastian Cabot) muses about the wonders of…the telephone. Not the cell phone mind you, the land-line. Only there, the subject was the hidden dangers of the television, not the phone. What if it had a mind of its own and could make you watch what it wanted you to watch? 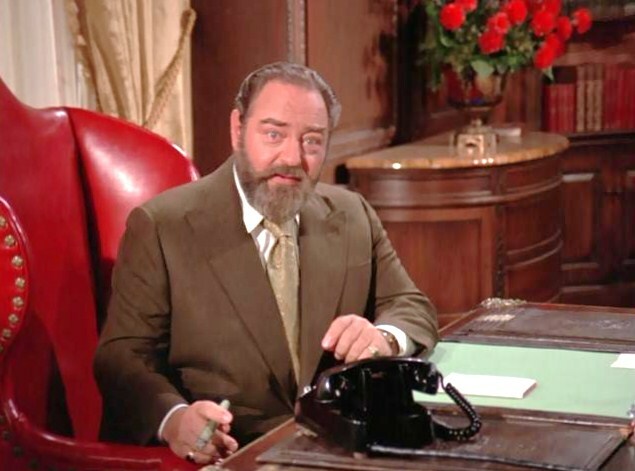 Here, Winston worries about what would happen if the telephone could, literally, reach out and touch someone. 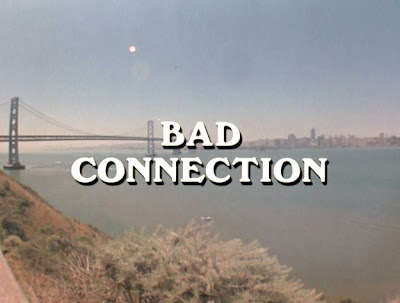 The story on that very subject, “Bad Connection” fits into a weird horror TV subgenre in which the telephone is a diabolical vehicle for terror. In the original Twilight Zone, the telephone brought terror in both “Long Distance Call” and “Night Call.” In the 1980s, well after this episode of Ghost Story, an evil telephone terrorized Jean Marsh in “Answer Me,” a first season installment of Tales from the Darkside. Here, Karen Black plays Barbara Sanders, a pleasant secretary who is about to be re-married. Her first husband died at sea, and she is finally putting the terrible event behind her. But on the eve of her wedding, the widowed Barbara begins to receive frightening phone calls from a voice she assumes to be that of her dead husband. 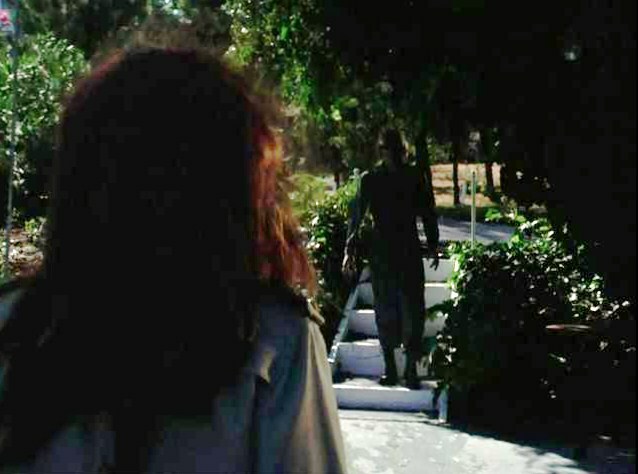 He warns her that “death” is coming for her soon. And that she must “remember the promise” they shared: to always love one another. Barbara grows increasingly – and dynamically -- hysterical as the phone calls continue and escalate in terror. Soon, she begins to see a shadowy form stalking her every move. Is it her dead husband? Or did she misinterpret his telephone message? Is someone else trying to drive her mad? If so, why? In exploring the answer to such questions, “Bad Connection” directed by Walter Doninger proves immensely entertaining. The episode stumbles over the boundary of camp at times, thanks in large part to Karen Black’s dedicated if dramatically overwrought performance. Much of the hour involves Black screaming madly at the phone, or tripping suddenly and inexplicably into a catatonic trance state. The star of such 1970s classics as Trilogy of Terror (1975), Black never fails to invest her genre roles with gusto. This hour is no exception, and “Bad Connection” is fun because Black anchors it, and isn’t afraid to go full-bore bonkers when the scene requires a mental breakdown. She really commits -- physically and mentally -- to this role. Also, I submit that this episode works because, at some level, it is utterly irrational, or surreal. A telephone continues to ring even when it isn’t plugged in. A specter commits to murdering another man’s wife for no real logical reason. That specter can not only appear in the flesh as a kind of pasty zombie, but always knows when Barbara is near a phone, or even which particular phone (in an office sitting) she happens to be nearby. There’s no logical explanation for any of this material, and yet, that’s okay with me. Some horror movies and TV programs slip into this wonderful surreal, nightmare territory, and it’s a valid choice. They make no real conventional sense, and yet we recognize the nature of the terror in an emotional sense because we’ve all experienced dreams wherein we’re being chased, or where strange, inexplicable things occur. “Bad Connection” features the weird dream-sense of a nightmare, and I can laud it on that level. Others might disagree with me, and note that the writing here is silly or bad. I suppose your mileage may vary, depending on how long a leash you’re willing to give Ghost Story. Some of the visuals in “Bad Connection,” -- of the villain appearing in the flesh, for instance, at a dock -- are downright chilling. Also the episode pulls out a nice, optimistic surprise at the conclusion, a re-parsing of the “promise” Barbara made, and how it is actually applied in the narrative. Fear gives way to catharsis, as it should. 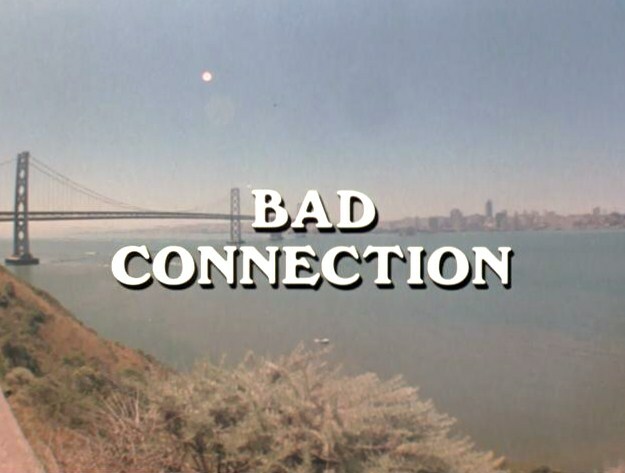 I certainly wouldn’t rank “Bad Connection” was among the best Ghost Story episodes produced. 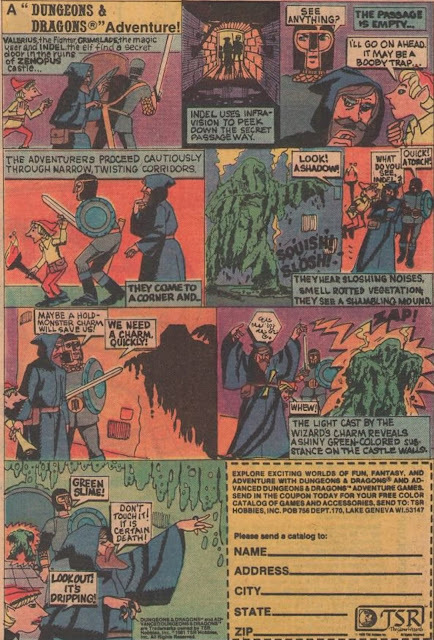 That honor goes to “The Dead We Leave Behind,” the absolutely bizarre “House of Evil” (featuring Jodie Foster, a doll house, and raisin-eyed cookie voodoo dolls…) and the brilliantly malevolent “Alter-Ego.” But “Bad Connection” is far better than the real stinkers. And, unfortunately, next week brings us to just such another stinker: the interminable “The Summer House” starring Carolyn Jones. John another interesting review of this sadly forgotten anthology that I am glad I watched as a boy in the 1972-73 with my family. I read each one that you review. I am so appreciative, SGB, that you read these reviews of Ghost Story and Ark II and offer your thoughts on them. Thank you for taking the time to read what I wrote, and especially for responding.